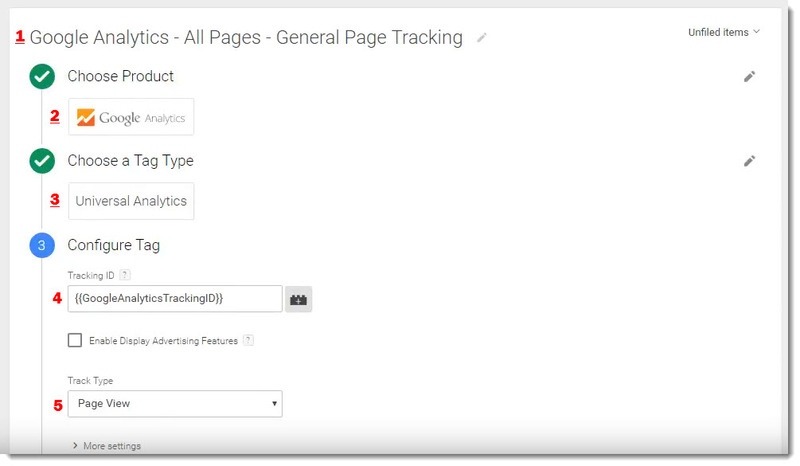 In this post, I’m going to show you how to install Google Analytics on your website using Google Tag Manager. 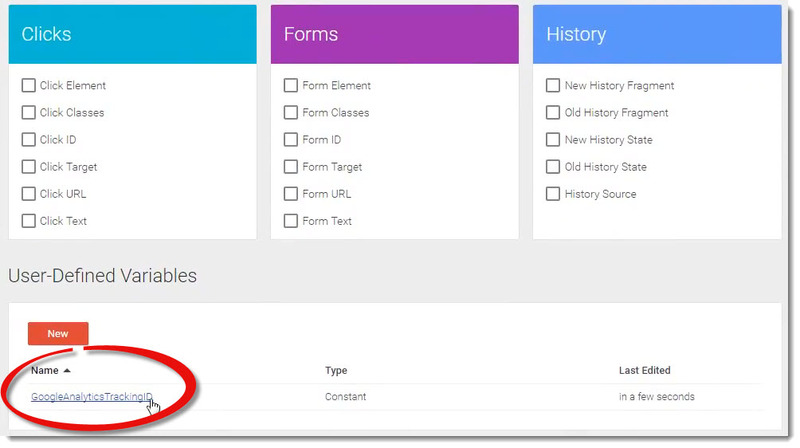 The goal of GTM is to consolidate all of your tags and make them easy to manage. 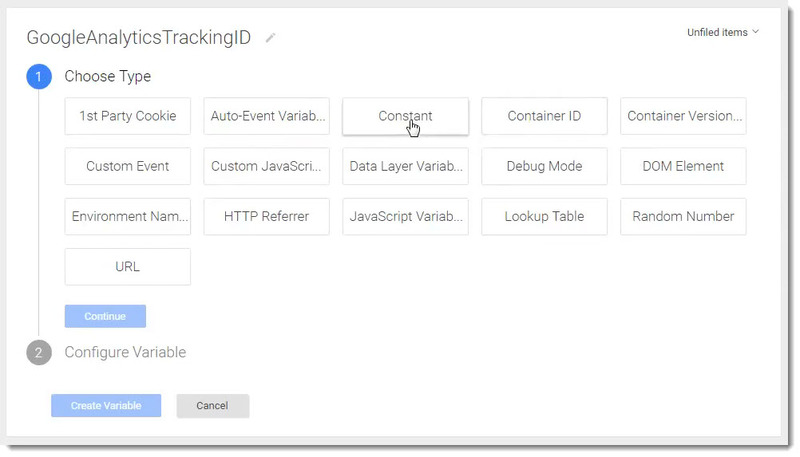 This means you don’t have to place multiple tracking codes within the source code of your website; instead, you install the Google Tag Manager (GTM) code once, and then place all tracking scripts and configurations within your GTM account. 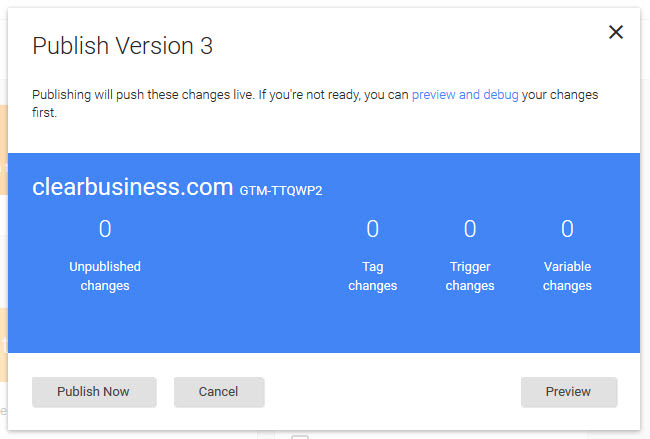 Another advantage to using GTM to manage your tags, is that you get to utilize the data layer, variables, and triggers. Let’s get started. First, let’s give it a name of GoogleAnalyticsTrackingID because this is exactly what it is. Now if you go back to the bottom of your variables page, you will see your new constant variable. 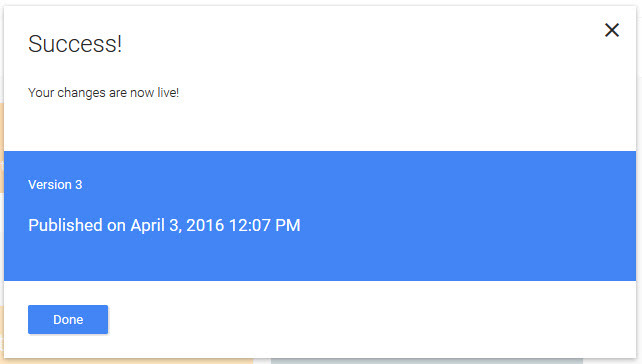 On the left side, click on “Tags” then click the “New” button. Under “Fire On” select “All Pages” because we want to track all pages on the website. 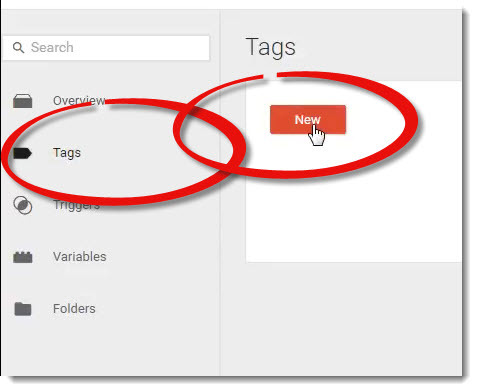 Next, click “Create Tag” and you’ll be taken to a screen that shows your new completed tag. 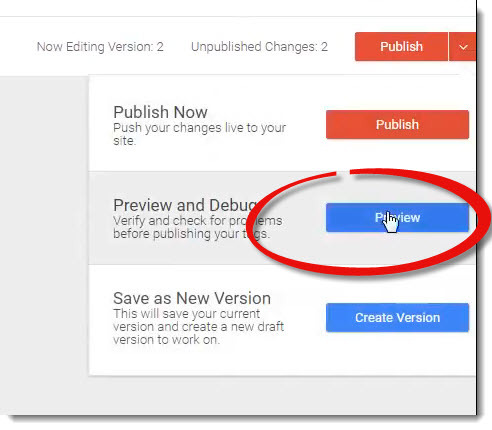 The page will refresh and you will see a message at the top of your screen saying that your are now in preview mode. Now, we want to browse to our website. Once you are there, will you see a window pop up from the bottom of your screen. This window will tell you which tags are being fired. 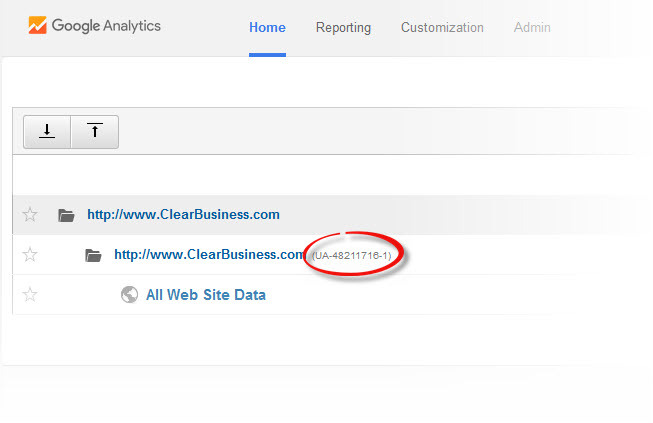 This is where we want to see the name of our Google Analytics tag. 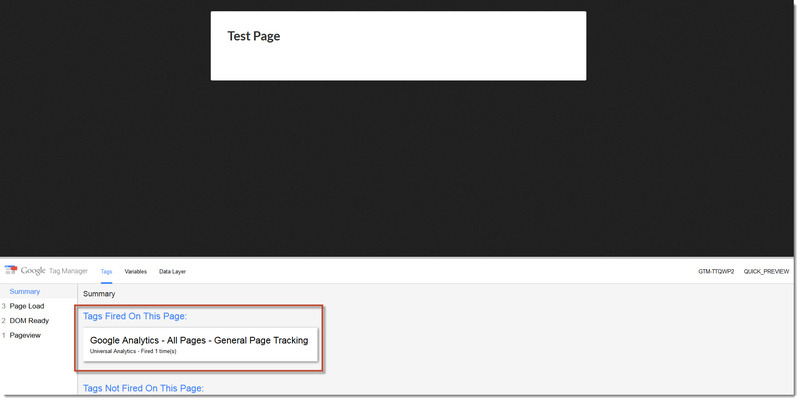 In our screenshot above, we can see that our Google Analytics tag is firing, so we are good to go. You are now ready to go. If you have any questions, please leave a comment below.